SLOW MOTION: Close up portrait of an old man (octogenarian) with a serious worried expression on his face. Low key portrait of a man. Dramatic lighting. 4k00:15Close up portrait of an old man (octogenarian) with a serious worried expression on his face. Low key portrait of a man. Dramatic lighting. 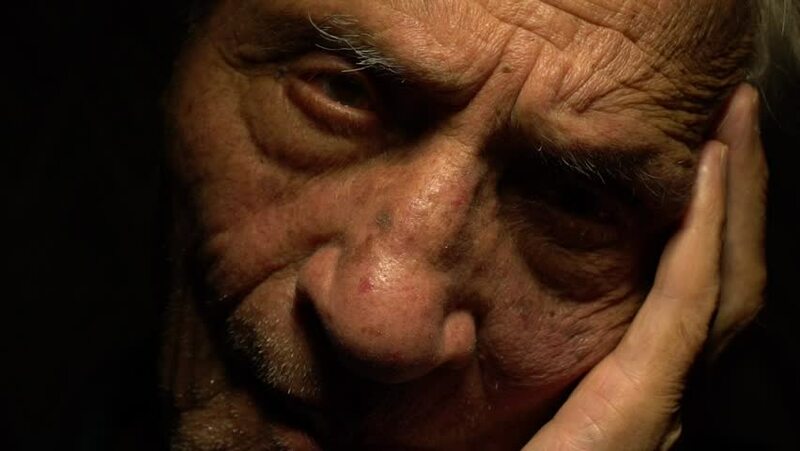 hd00:25SLOW MOTION: Close up portrait of an old man (octogenarian) with a serious worried expression on his face. Low key portrait of a man. Dramatic lighting. hd00:13Senior woman in glasses looking into camera. Close up portrait of grandmother. 4k00:18Old man writing with pen. Elderly gentleman uses pen with ink to write on paper, at his home. 4k00:19Old man writing with pen. Elderly gentleman uses pen with ink to write on paper, at his home. 4k00:09Sad elderly man sitting alone at home. Older gentleman expressing sadness, with head buried in his hands. 4k00:16Collage of different people hands texting or typing on smartphones. Split screen montage wall. Using cell phone, smart phone, technology, communication, millenials concept. 4k00:15Close up of old man writing with pen. Elderly gentleman uses pen with ink to write on paper, at his home. 4k00:20Old man using typewriter. Elderly gentleman is writing something on a vintage typewriter, in his home.